Something big is coming your way !! Mark October 6th for The Big Billion Day! 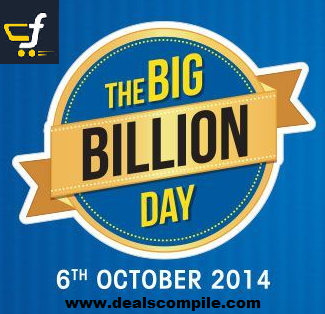 Flipkart, India's Biggest Online Shopping Hub is now bringing an amazing offer where you get to enjoy buying Flipkart Big Billion Day . Greatest Sale Ever 6 Oct From Flipkart.com .